Beginning 05.31.16, Audra is going on sale! Save the date and get your digital copy of Audra for just $1.99! Summer of Love Giveaway Day 3! Today’s daily giveaway in the Summer of Love contest is a $25 Amazon gift card, sponsored by Summer of Love author, Galen Rose! Summer of Love Giveaway Day 2! Today’s Summer of Love Daily Giveaway is a gift bag crammed full of swag from author Kristina Knight, including books, a notepad, and the lovely charm bracelet pictured here: owl-themed with a leather band. Caroline Warfield Talks Dangerous Weakness & Giveaway! How far will he go to protect her? How far will she run from her fears? Hello Everyone! Who’s in the mood for a fabulous new Regency Romance? Better still, who’s in the mood to discover a new book series? Whether you are well familiar with Caroline Warfield’s books or just discovering her, you won’t want to miss her latest release, Dangerous Weakness. I mean, just look at that cover! Caroline will give a Kindle copy of the winner’s choice of Dangerous Works or Dangerous Secrets to one randomly selected person who comments. Still, he’s wealthy, powerful, and, frankly ladies, as good looking as can be. He obviously finds him attractive. He’s also the heir of the Duke of Sudbury. Is she out of her mind? He thinks so. She isn’t a fool. She will leap at the chance to be a marchioness. Does the damned woman think she deserves poetry also? No, she isn’t a fool, but she wouldn’t mind a man who didn’t simply order her around. Would you marry him after a proposal like that? How long do you think she can hold out? Given enough facts, Richard can fix anything. 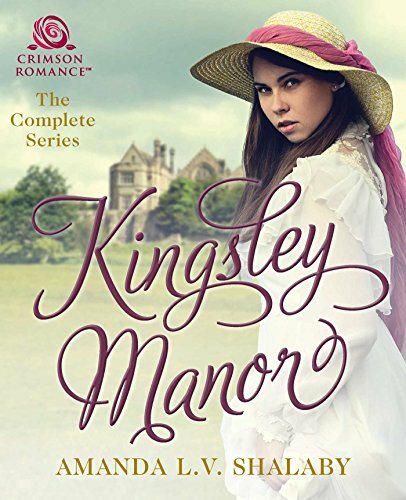 But protecting that impossible woman is proving to be almost as hard as protecting his heart, especially when Lily’s problems bring her dangerously close to an Ottoman revolution. As Lily’s personal problems entangle with Richard’s professional ones, and she pits her will against his, he chases her across the pirate-infested Mediterranean. Will she discover surrender isn’t defeat? It might even have its own sweet reward. BUY Dangerous Weakness at Amazon by clicking HERE!